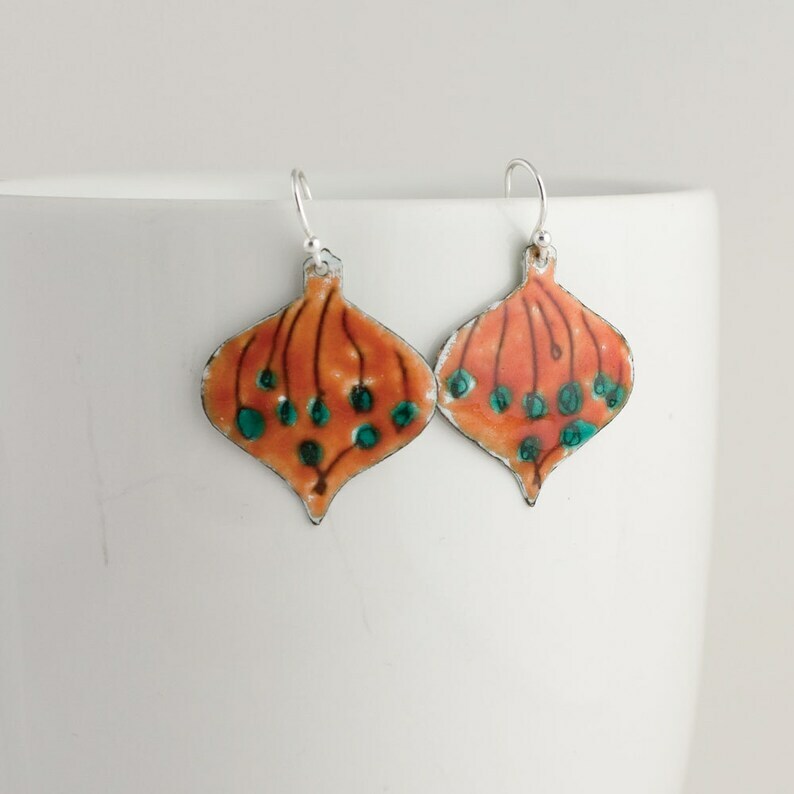 Ready for the holiday season, these red and green enameled earrings are shaped like retro ornaments and suspended from sterling silver earwires. First I paint the copper shapes with white liquid enamel, allow to dry, and then scratch through to the bare copper in a technique called "sgraffito" (which means to scratch!) These were fired, a nice white surface with scratched lines intact. Then I applied transparent enamel colors to the hoops and fired again. These are one of a kind and ready to ship. You will receive the exact earrings pictured.